Today, Sunday June 22nd, diamond collectors and investors from around the world will be flocking to the Four Seasons Hotel in Toronto. Why all the fuss? 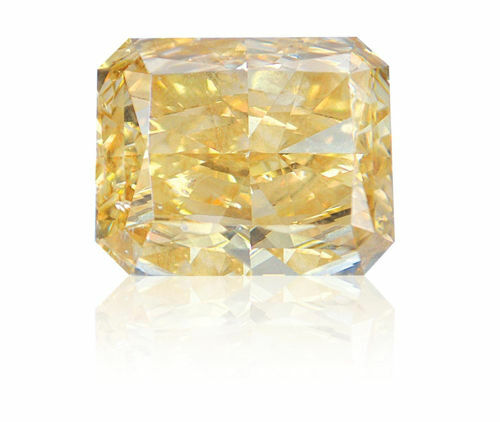 Just a jaw-dropping 30.12-carat loose fancy yellow diamond – the largest colored diamond at auction in Canadian history. In fact, the appraisal value of this radiant-cut stone is estimated to be in the multimillions. Ritchies Auctioneers is the house behind this impressive sale, which offers more than 300 lots. The firm has seen some major success in the past with this particular event, called the Prestige Auction, which has attracted bidders from all around the world, including China, India and Russia. Based on the international interest that has been building, Ritchies expects this auction to set some staggering records. The Prestige Auction features a number of other notable gems, many of which happen to be yellow. A very important heart-shaped 18.06-carat fancy intense yellow diamond ring with an 18k gold and platinum setting is especially stunning. It was formerly owned by a Northern California farmer, and boasts strong luster as well as color saturation. Another ring features a 3.03-carat fancy yellow diamond that has been graded SI1 clarity. The band of the ring contains a multitude of SI-clarity G-H color white diamonds. Also included are a 158.0-carat diamond and emerald necklace suite, jewelry from Jennifer Lopez’s collection and a rare Patek Phillipe timepiece.